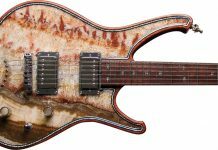 Maryland-based Knaggs Guitars was founded five years ago by former PRS luthier Joe Knaggs and business marketer Peter Wolf. 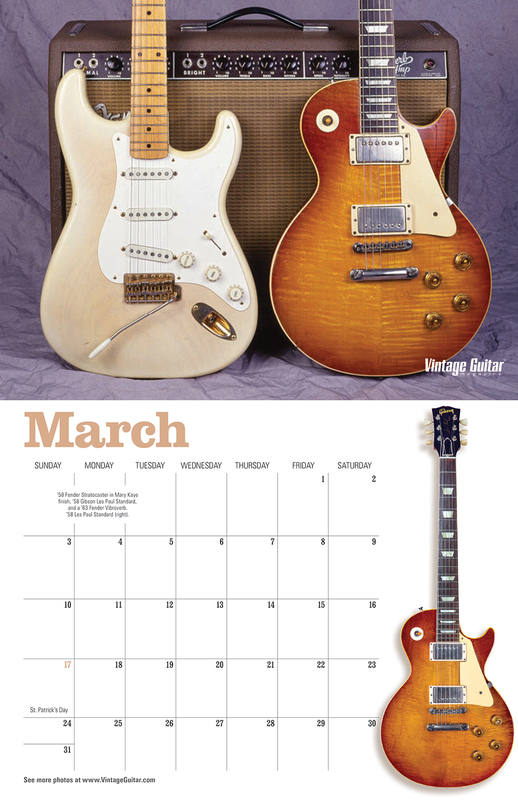 The pair build high-quality set-neck guitars using handpicked tonewoods and state-of-the-art processes. Available in a variety of color and finishes, Knaggs guitars are offered in two levels differentiated by the quality of the wood used for their tops, aesthetic considerations, and pickup options. Both tiers get high-quality components and the same level of build quality. 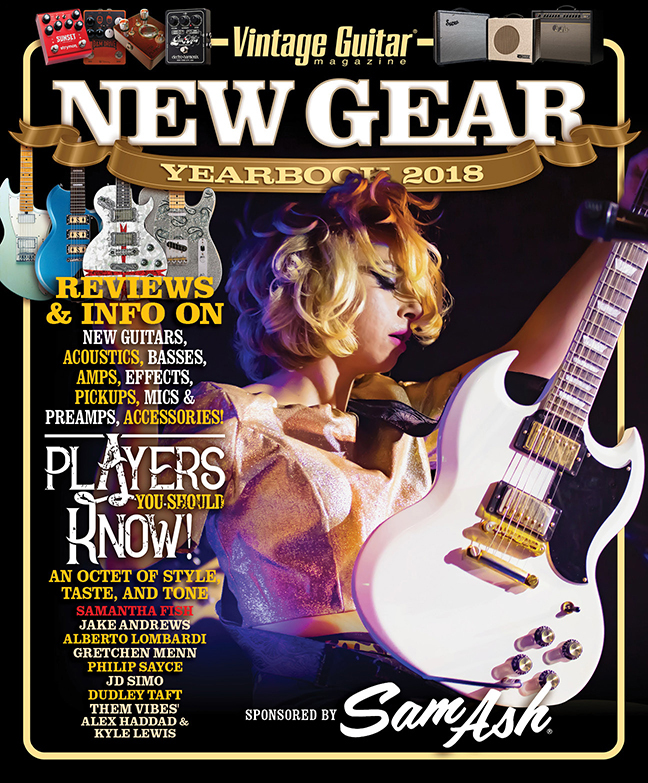 Knaggs guitars are built using several set-neck configurations, including Fender-style six-on-a-side headstocks with a 25.5″ scale with 22 frets and an 8.5″ fingerboard radius, and Gibson-style three-on-a-side headstocks with a 24.75″ scale and a 12″ fingerboard radius. 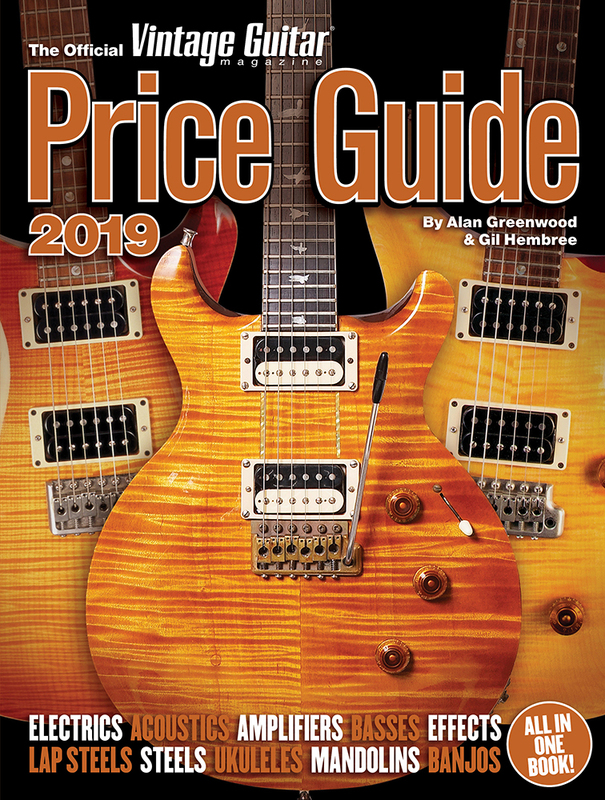 Knaggs offers a variety of carved tonewood bodies and tops, with pickup combinations that include single-coils, humbuckers (with coil-tap options), and P-90s. The Chesapeake Series Severn in Knaggs’ Trembuck configuration has a specially designed tremolo and two Seymour Duncan humbucking pickups (an SH-2N in the neck position; a TRB4 in the bridge). Neatly appointed with gold hardware and a beautiful glossy finish, our tester double-cut had a distinct body lamination that included a layer of beautiful flame maple (tinted with the company’s Ocean Blue) sandwiched between an alder back and a rich brown sapele top. The beveling at the upper bass bout armrest exposed the layers in a very unique way. 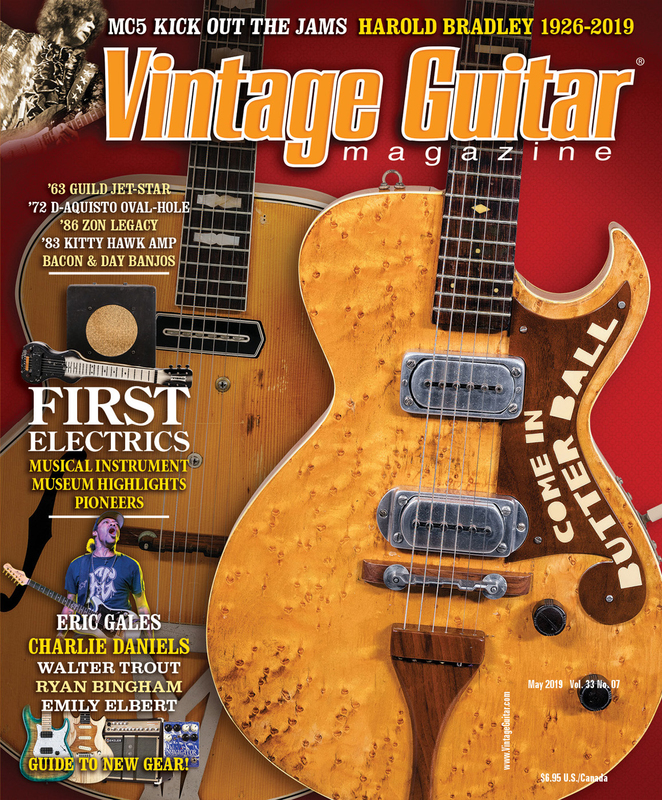 Also unique to Knaggs guitars are their proprietary bridges, designed to increase sustain by positioning the string vibration at the center of the body. The Severn Trembuck’s original-design vibrato bridge system is precisely machined from a piece of solid steel. Rather than utilizing a traditional knife-edge system that, without routine maintenance, can get sloppy over time as the screws and hardware undergo years of stress, Knaggs created a hinge-design bridge that has a metal plate on which only the floating part of the bridge hinges; all other components are attached to the guitar. This design created a extraordinary amount of sustain – a very pleasant suprise, as was the accuracy of pitch maintained by the bridge. 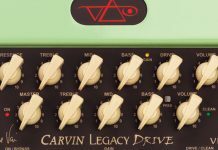 Furthermore, when put through its paces, the bridge system proved nothing shy of amazing; no amount of crazy whammy-bar work – from dive bombs to Blackmore-esque wiggling to chordal surf shaking – could put the guitar out of tune. Also noteworthy is the bridge’s floating design, which allows note ascension up to one full step, putting an extra option in the player’s bag of tricks. To create the amount of bar resistance that best suits the individual’s preference, Knaggs includes springs in the case pocket for insertion into the bridge vibrato-bar hole, and earns heavy kudos on this well-conceived design. 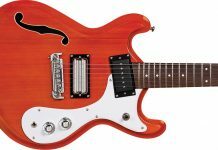 The test guitar, which weighed in at a comfortable eight pounds, was an absolute joy to play. The maple neck, which has a 25.5″ scale sporting tall, thin frets on an 8.5″-radius cocobolo fingerboard, gives a bit of a vintage feel while providing more flexibility for string bending. Aesthetically, the Severn Trembuck’s neck has diamond fingerboard inlays and an ebony headstock veneer. Its headstock features six-on-a-side tuning pegs. 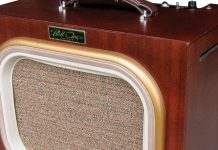 Tonally, the Severn Trembuck sounded excellent through a boutique tube 50-watt and a 1969 small-box Marshall. The guitar’s two Seymour Duncan humbuckers were well-balanced and everything humbuckers should be – round and bold-sounding when turned all the way up, overdriving the amps’ front ends, then warm and clean when the Trembuck’s Volume control was turned down below 6. 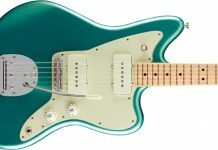 The Severn Trembuck has single Volume and Tone controls, along with a three-way blade switch, similar to a Telecaster. Also notable is the push/pull coil-tap option on the Tone control. Unlike other coil taps, some of which have a tendency to sound cold and tinny, Knaggs (and Seymour Duncan) have done an excellent job creating a great-sounding single coil-tone that is clear and warm. 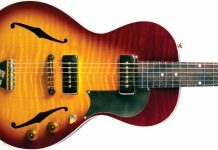 Nicely appointed, boasting an unimpeachable build quality, and offering unique design features concocted with the player in mind, the Severn Trembuck is a very flexible guitar that will appeal to rock, blues, and jazz players.